Inside the cabin, the children are getting more and more adventurous: they are now looking through the glass floor and having fun trying to recognise the different places around them. 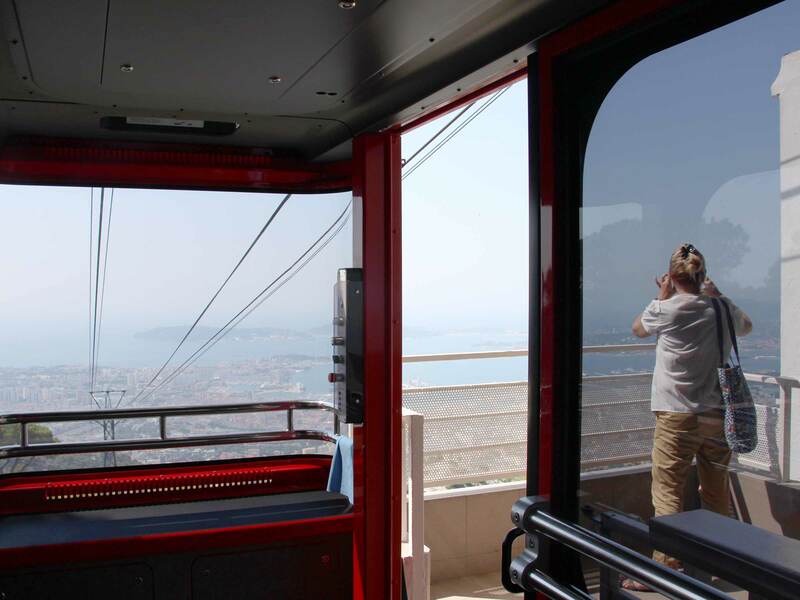 The cabin is pretty and the attendant is happy to answer passengers’ questions – you can hear the pride in his voice. 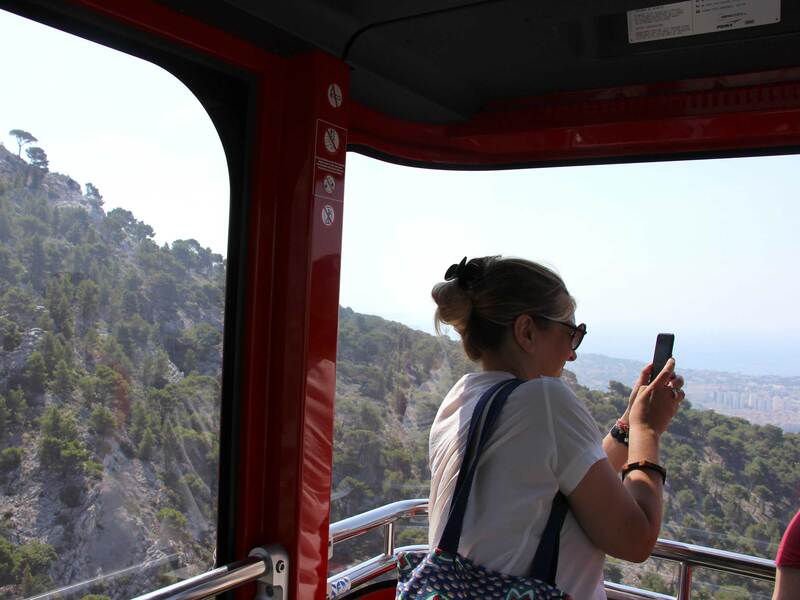 Even though the trip doesn’t take long, it does leave us enough time to take a few photos and to enjoy the view. 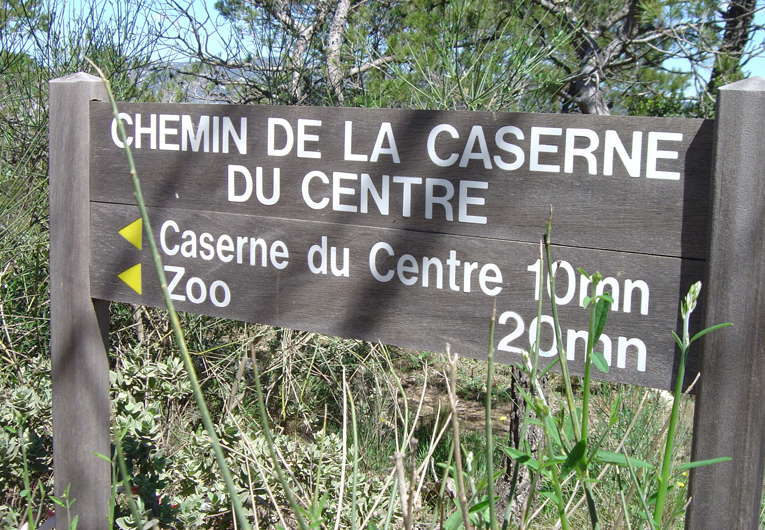 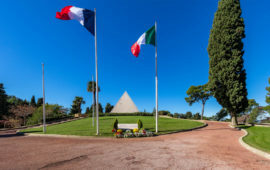 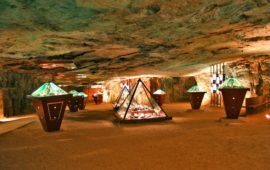 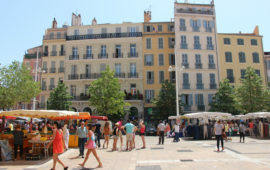 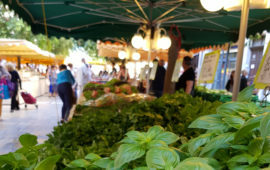 Once we arrive, the passengers head off for the picnic tables, a hiking trail, the entrance to the Provence Landings Memorial or the lion’s zoo further along. 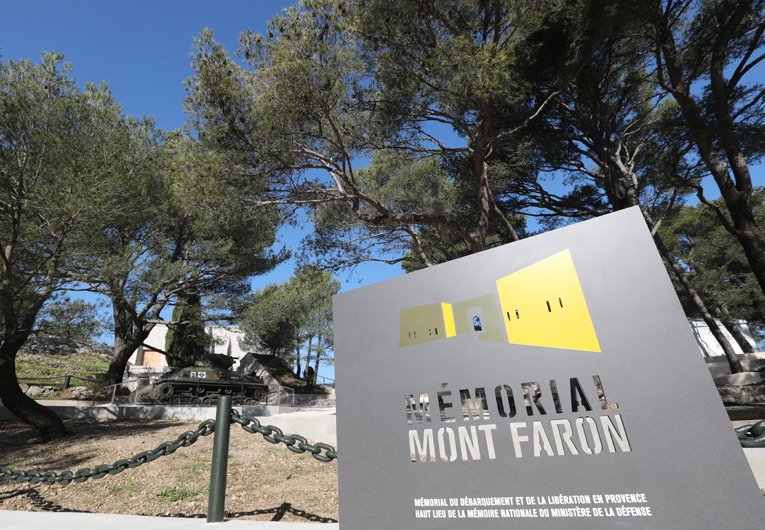 We decide to take a few more photos of the wonderful view and to go and rediscover the Memorial. 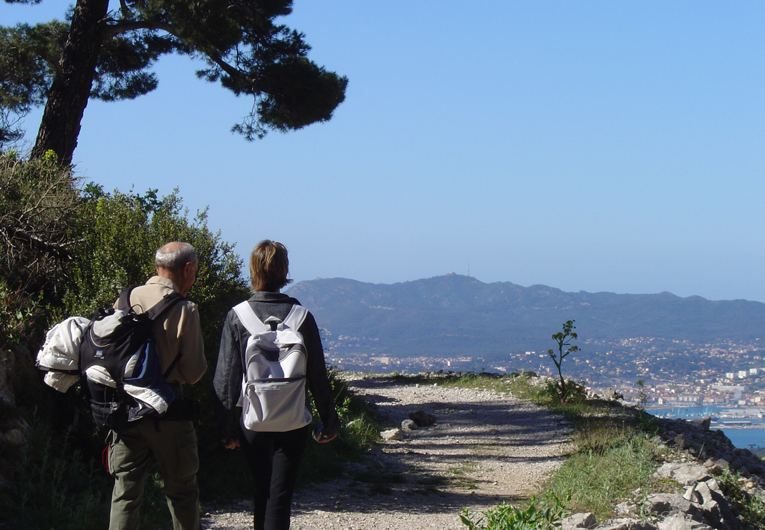 Take advantage of the countryside above the city! 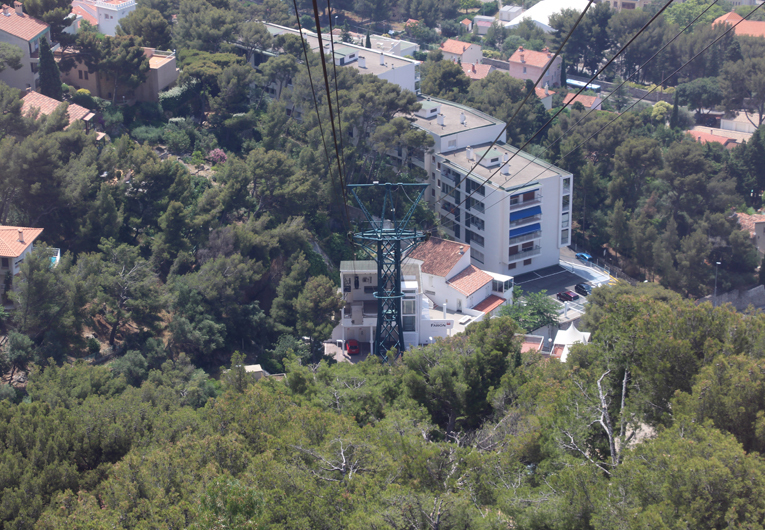 After our hike, we make our way back to the cable car station and go down to the city again. More thrills! 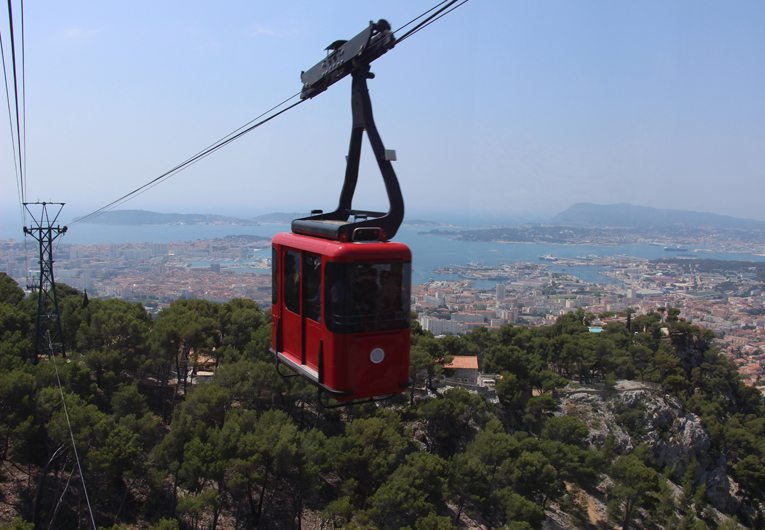 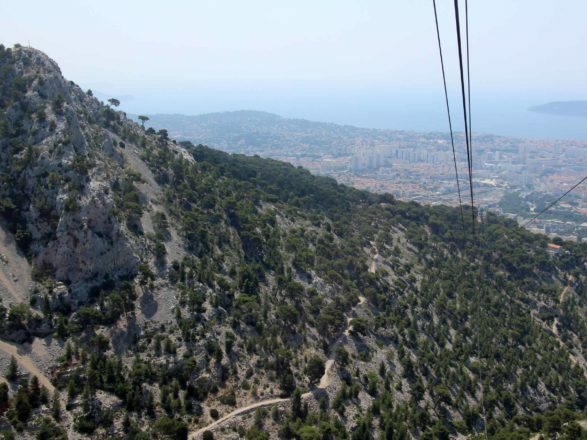 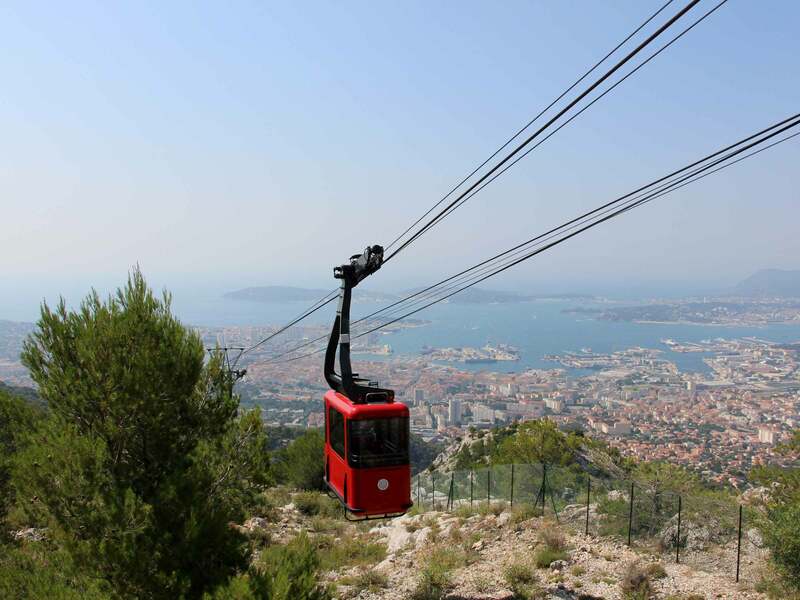 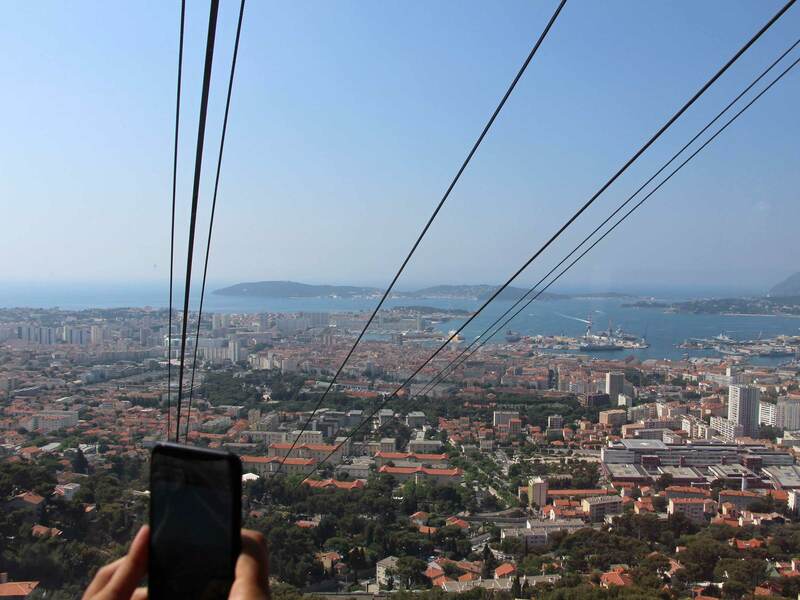 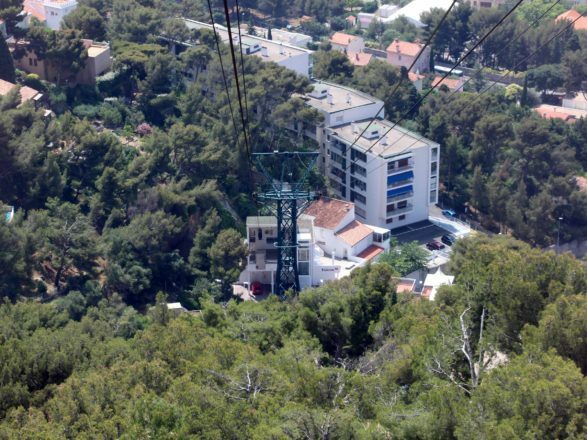 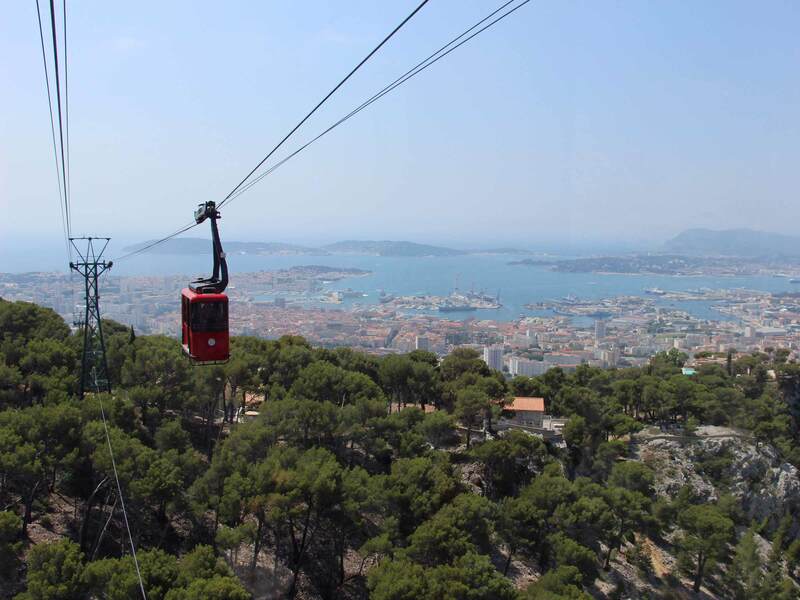 On our way back to “civilisation”, we laugh at the feeling of heights we get from looking at some hills… For a half day, a full day, or in the evening, Mount Faron’s cable car is an unavoidable attraction to explore in Toulon !